FOR FRESH PRODUCE IN THE WORLD ! Covering an area of 234 hectares including 72.7 ha of covered space, the market is supplied by trucks, trains and planes (Orly airport is located near the market) from around the world. "Au Fromager de Rungis .com" is a service provided by the Maison Prodilac located in the Dairy Products area in building D4. 2.4 million tons of food delivered. Providing food for 18 million consumers, 11 million of which are located in Ile de France. 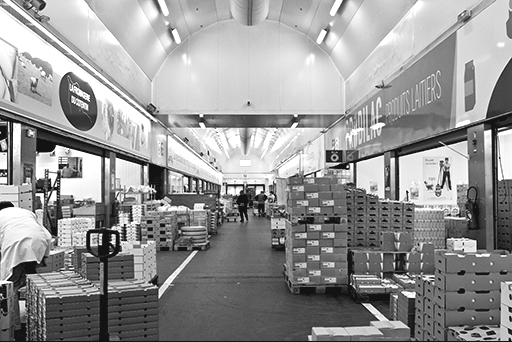 More than 1,200 Companies are located in Rungis.